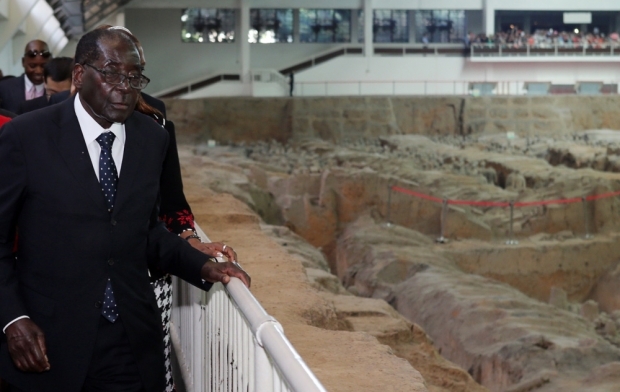 President of Zimbabwe Robert Mugabe on tour of the Museum of Terracotta Warriors in Xi’an last month. Mugabe was on a five-day state visit. Harare-based economist and columnist Vince Musewe doesn’t mince words in his criticism of Zimbabwe’s growing financial dependence. Beijing is “bleeding Zimbabwe dry” through loans and Musewe says enough is enough. He is calling on Robert Mugabe’s government to come clean and reveal the secret deals between the two governments, otherwise Musewe warns Zimbabwe will only sink further in to economic desperation.